A collection of Life's moments: New Year - New beginning !! You have the ability to transform your life--- the only thing standing in the way of YOU and your dreams is YOU! Every single day you have a chance to redesign your destiny! It takes discipline, but it pays dividends! And took complete ownership of my feelings, my gratitude, and my path... THAT is when it starts as a new beginning and turns dreams to reality. Friends, 2015 has the ability to be EVERYTHING YOU WANT IT TO BE. But it'll only be that way if you're intentional and focused. If you focus on progress, not perfection. If you focus on blessing, not problems. If you focus on ownership, not blame. If you take responsibility, not live as a victim. You need to get uncomfortable! The end of ONE thing is ALWAYS an opportunity to begin ANOTHER adventure! As you go into 2015 --- Think about a stress in YOUR life and challenge yourself to OVERCOME by way of learning more & doing something about it! AVOIDING your stress only make them seem EVER BIGGER and more scary than they actually are! Once you FACE THEM head on the POWER will be in YOUR court! 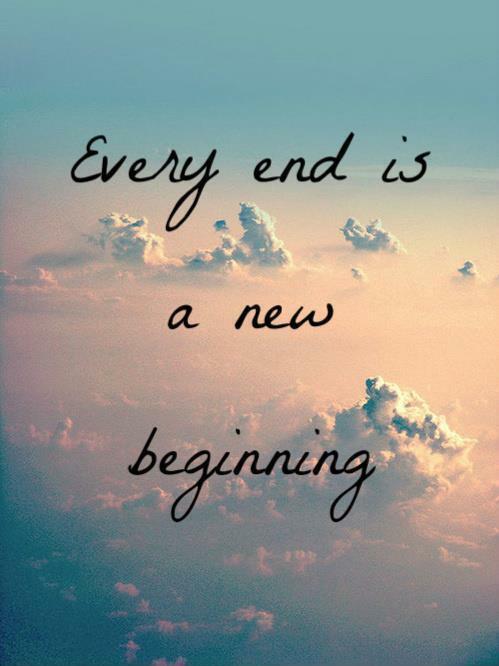 BRING ON THE NEW BEGINNINGS BABY!!! If I could sum up 2014 in 3 words , it would be: CHALLENGING - TRANSITIONAL - BLESSED! Cheers to the endless possibilities of 2015 and the accomplishments, the obstacles overcame and the days lived!!!! Wishing everyone a rocking 2015 !!! This is an excellent post emphasising a philosophy I believe in wholeheartedly. The more thankful you are for things, the happier you are. Really enjoyed visiting your blog. Glad you enjoyed it. Thanks for visiting !